SLCC (Second Life Community Convention) http://www.slconvention.org/ will held in San Francisco, CA on August 13-16, 2009. There were only 2 participants fill out the survey of InAEA. However, I did got some very good input. Thank you for who took the survey. I will trying to make all suggestions work soon. Discussion: We were chatting about conventions around the world. Liliann provide an information about “E-Learn 2009” conference; it will be held on Vancouver, Canada on October 26-30, 2009. Also, we talked about how to encourage people to take survey in SL. We thought maybe if we could give L$, people will consider to take it. 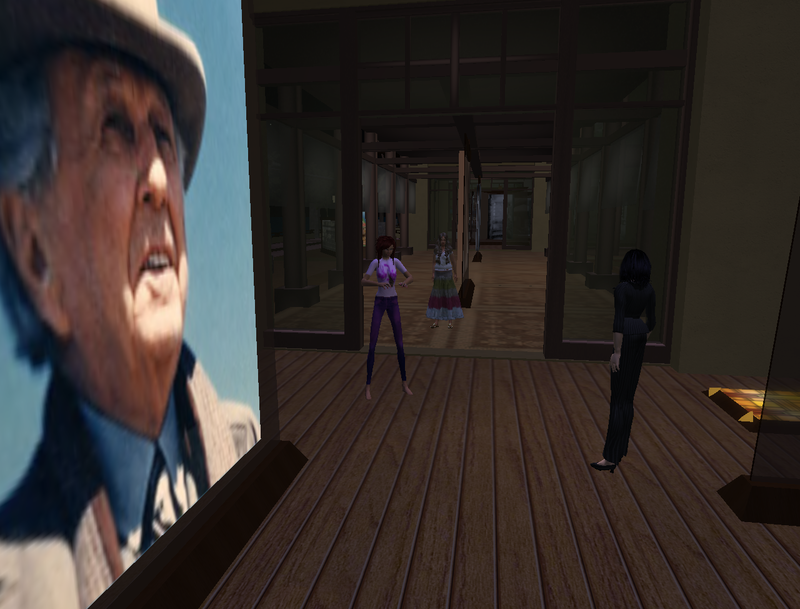 Marylou shared her experience about the course “Teaching on Second Life” she took this summer. Kristy provided a book is for teaching in Second Life: Teaching in the Virtual World of Second Life. Dedicated to the works of the greatest American architect of all time, The Frank Lloyd Wright Museum of SL offers both a permanent collection of his works including homes, buildings, furniture, art glass, drawings and photos.